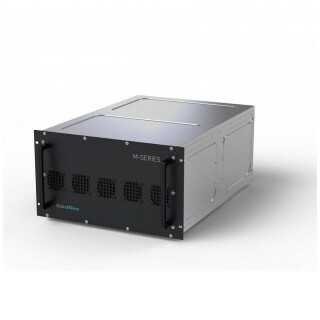 The Magnetron Modulator – M50-i is our smallest platform and offers a very small package for customers with a need to drive low power magnetrons in a volume restricted package. This low power magnetron modulator is designed to handle magnetrons in the 0.2 MW to 2 MW range. It also simplifies the system design for cooling since it only requires air cooling. This modulator provides unparalleled performance, ease of integration and use by customers and provides the smallest package size available to meet system integrators most critical packaging needs.